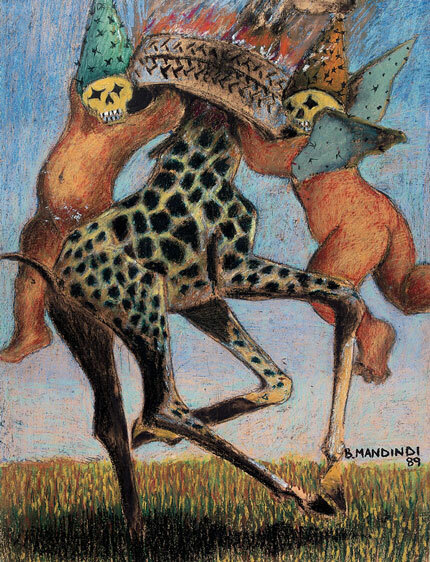 I am wondering if there is a reason why the Revisions collection and publications has no works by Lucky Madlo Sibiya (amidst some other notable exclusions)? published in , Jupiter may have done a clean sweep of the inner solar system before taking its current place in orbit. The new information sheds light on why our solar system is so different from other planetary systems, from the . "Now that we can look at our own solar system in the context of all these other planetary systems, one of the most interesting features is the absence of planets inside the orbit of Mercury," said Gregory Laughlin, professor and chair of astronomy and astrophysics at UC Santa Cruz and coauthor of the paper, according to the press release. "The standard issue planetary system in our galaxy seems to be a set of super-Earths with alarmingly short orbital periods. Our solar system is looking increasingly like an oddball." Laughlin said the findings explain the "gaping hole" in our inner solar system, as well as other characteristics of Earth and the other inner rocky planets. A leading scenario called "Grand Tack" was the starting point of exploration for Laughlin and co-author Konstantin Batygin, who first worked with Laughlin as an undergraduate at UC Santa Cruz and is now an assistant professor of planetary science at the California Institute of Technology. Per the theory, first proposed in 2011, Jupiter would have migrated toward the sun until Saturn was formed, which would cause Jupiter to reverse and migrate outward again. Batygin used calculations to determine if a set of rocky planets had formed before Jupiter's inward trek. It seemed likely that planets on course to be "super-Earths" until Jupiter came crashing in, causing collisions and smashing the budding planets to bits. "It's the same thing we worry about if satellites were to be destroyed in low-Earth orbit," Laughlin said, according to the press release. "Their fragments would start smashing into other satellites and you'd risk a chain reaction of collisions. Our work indicates that Jupiter would have created just such a collisional cascade in the inner solar system." Laughlin explained that the remaining debris would have formed younger, inner planets with thinner atmospheres - like Mercury, Venus, Earth and Mars. "One of the predictions of our theory is that truly Earth-like planets, with solid surfaces and modest atmospheric pressures, are rare," he said, according to the press release. (Photo : Batygin and Laughlin, PNAS)"This diagram shows the orbital distribution of extrasolar planets smaller than Jupiter that have been detected by the Kepler mission, in comparison to the orbits of Mercury, Venus, Earth and Mars," according to UC Santa Cruz. "Most of these extrasolar planets are much closer to their host stars than the innermost planets of our solar system are to the sun." The typical planetary system is one consisting of a few planets with masses greater than the Earth's - super-Earths - which would orbit the host star much closer. The giant planets would typically be closer to the sun. According to the press release, "The rocky inner planets of our solar system, with relatively low masses and thin atmospheres, may turn out to be fairly anomalous." "This kind of theory, where first this happened and then that happened, is almost always wrong, so I was initially skeptical," Laughlin said, according to the press release. "But it actually involves generic processes that have been extensively studied by other researchers. There is a lot of evidence that supports the idea of Jupiter's inward and then outward migration. Our work looks at the consequences of that. Jupiter's 'Grand Tack' may well have been a 'Grand Attack' on the original inner solar system."